Today’s feature is all about Stylish dresses by the website Stylewe. This red and black sheer dress is perfect for a glam evening out in Autumn! This dress is just so cute, it comes in a shirt design and I love its delicate flow and color. Love me some pink, even in this feature, and even though the styling here it’s too girly I think it looks adorable! 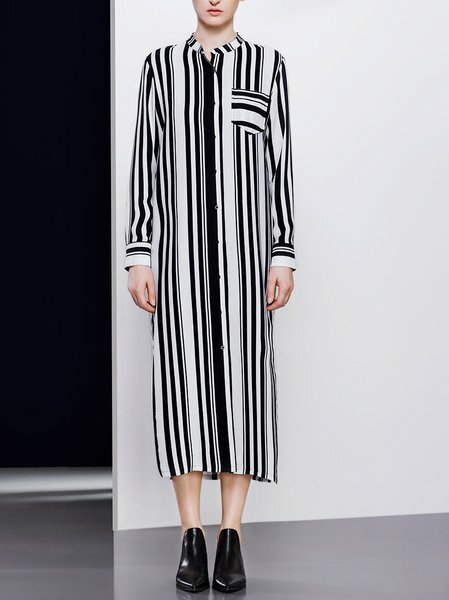 This striped black and white long shirt it looks just the right amount of stylish and comfortable. I couldn’t pass on a black item for my wishlists, so here you go, a long elegant black dress! I decided to include a little white and this shirt dress is just so clean and neat that I couldn’t skip it.